Driven by hunger, a fox tried to reach for some grapes hanging high on the vine but was unable to, although he leaped with all his strength. As he went away, the fox remarked, ‘Oh, you aren’t even ripe yet! I don’t need any sour grapes. I recently read with uttermost consternation, the way and manner the Former Minister of Aviation in the person of Femi Fani-Kayode discredited the good and laudable achievements of Princess Stella Oduah which I consider a disservice to humanity and the nation. I have refused to join issues with him on professional grounds due to the obvious paucity of his understanding of aviation which is clearly demonstrated in his write-up. However, in reading his recent unguarded effusion over the Associated Airlines crash in Lagos, one is quickly reminded of the story of the Fox and the Grapes. The reader is left in no doubt that Fani-Kayode is one of those yesterday’s men who feel that they have been ignored in the present scheme of things and feels that the best way to gain political relevance is by disparaging those whose sterling achievements have set them far apart from the crowd. As a publisher of one of the leading Aviation Magazines, I can say without the fear of being contradicted that Fani-Kayode is one of those who created the problems that Stella Oduah is labouring so hard to correct today. He should be grateful that someone, at last is willing to do something about the problems he and his likes have created. Go to FAAN, NAMA, NCAA etc today and you will find traces of Fani-Kayode’s influence through his sweethearts he employed whose activities are contributing to the general malaise in the industry. I do not want to go into the details of his activities in Aviation because history is there to vindicate the just. From his write up entitled; RUMORS OF SACRIFICE AND STELLA ODUAH it is very clear that his depravity is screaming to the high heavens. Only recently, he made himself the devil’s advocate by presenting himself as the precursor of the Yoruba nation- a subterfuge for political relevance which is clearly seen because many write ups have since called to question his paternity and claims to the Yoruba race. Nigerians are not idiots. Yes, there have been air crashes since Stella Oduah assumed office but it must not be taken for granted that this so-called aviation industry was in a deplorable state when it was handed over to the present minister. A problem created since the seventies by bad leadership of which Fani Kayode was one, cannot be expected to be resolved over-night. Like the fox that could not access the grapes, Fani Kayode has decided to become an iconoclast. From his writings, it is clear that he is dancing to the rhythm of the beats from distant lands (The quick and the dead). He has lost touch with the world of realities. It is very difficult to say from his article who the piece is directed at. In one breath, he attacks Mr. President, in another he attacks PDP, and yet in the same breath he makes Stella Oduah a woman with proven business antecedents her victim. Tell us Nigerians what remarkable business achievements or antecedents you had to your name before you became a minister. If this nation were to be a nation of die-hard revolutionaries, your likes would be brought to the village square and queried by the youths under duress. Whose interest are you protecting? Your purse, or those of the Nigerians yet unborn? I have deliberately chosen not to respond to you in the areas of Aviation because most of your claims lack roots and cannot withstand the test of commonsense. 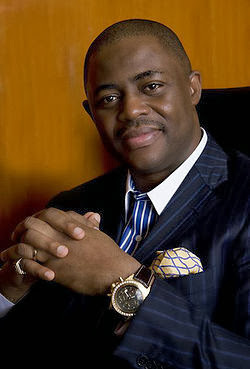 Fani-Kayode is part of yesterday’ men who have refused that Nigeria should move forward. He is living posthumously. We should not allow the living dead to determine our future. There are so many of them in their ranks who presume that by attacking the good others have done they will be reckoned with as patriots. These yesterday champions who have not been able to demonstrate their prowess in private business should be considered as public enemies. It is my candid advice to Nigerian Youths to interrogate the propositions of men like Fan- Kayode who have said that Nigeria cannot exist as a nation as long as they are not recognized in the scheme of things. The question to ask is whose interest are you protecting? How many Nigerians are you currently employing post office as minister? What is your source of wealth? Men who wax generous with other men’s resources have questionable sincerity. We are living in a political climate strewn with the quick and the dead. Those who have failed to gain political relevance in the present dispensation are the dead whose ghosts must terrify the quick. They are forming factious groups and peddling rumors all in a bid to enlist the interest of Nigerians who are not conversant with their antecedents. They have failed. There are patriots who have lived in almost every part of this nation and can assure you that this present crop of politicians who are criticizing this regime are men living posthumously. They have out-lived their usefulness and they feel that the best way to be relevant is by destroying the people presently in office. What does Fani-Kayode want? To be made the aviation minister when the embers of the fire he set in the industry is yet to settle? Posthumous men are those who have learned to live by the theory of force and fraud and cannot bear to watch order and merit take center-stage because their rumps will be seen. Nigerians are not idiots; we cannot afford to watch public enemies covered in the hood of politics becloud our understanding of things in watery arguments and flowery speeches. Fani-Kayode should note that there is a breed of better-educated and exposed Nigerians who can hold their own anywhere in the world who cannot be hoodwinked by banal arguments; who are monitoring the performance and the activities of the honourable minister of aviation and others who are doing very well. I can assure you that Fani-kayode cannot even mange a five-star hotel, let alone the country. Yet, he has the effrontery to be castigating Goodluck Ebere Jonathan, PDP and Stella Oduah. To put his endless mouth dysentery to rest, it is my advice that the president gives him a dead or profitable government agency or business to mange and let Nigerians monitor him and see how well he will fare. There is no point arguing with the likes of Fani-Kayode. The only solution to his problem is a well-monitored appointment. Make it plain that it is not business as usual and his ineptitude will be revealed to Nigerians. His assessment should be made like those of Big Brother Africa against Stella Oduah and let Nigerians be the Judge. In conclusion, not every rain is patronized by bringing out the buckets; people must learn that when it drizzles, it is not time to run up and down to fetch water. Words must not be wasted on the likes of Fani-kayode because they are posthumous men of yesterday craving for unmerited present day relevance. Surely, there is a better way to go about that. Tragically, Femi Fani-Kayode does not know how. The views expressed in this article are the author’s own and do not necessarily reflect the editorial policy of The Paradigm. Follow us on TWITTER via @TheParadigmNGand like our FACEBOOK Page.